This is a fabulous present for any Bolton Wanderers FC fan and is approved and fully licensed by the club. We merge the recipient’s Surname onto the back of the shirt with their chosen shirt number. We then print this in full colour onto a high quality mug and coaster set. Our Bolton Wanderers FC mugs are dishwasher and microwave safe. This is a fabulous present for any Bolton Wanderers fan and is approved and fully licensed by the club. This is a fabulous present for any Bolton Wanderers FC fan and is approved and fully licensed by Bolton Wanderers FC. 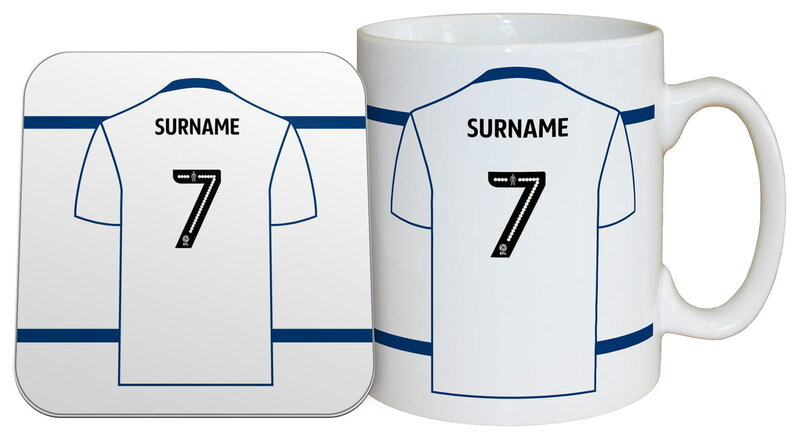 One of our best-selling Bolton Wanderers FC gifts of all time, this personalised dressing room mug is the ultimate must-have for any Bolton Wanderers FC fan. 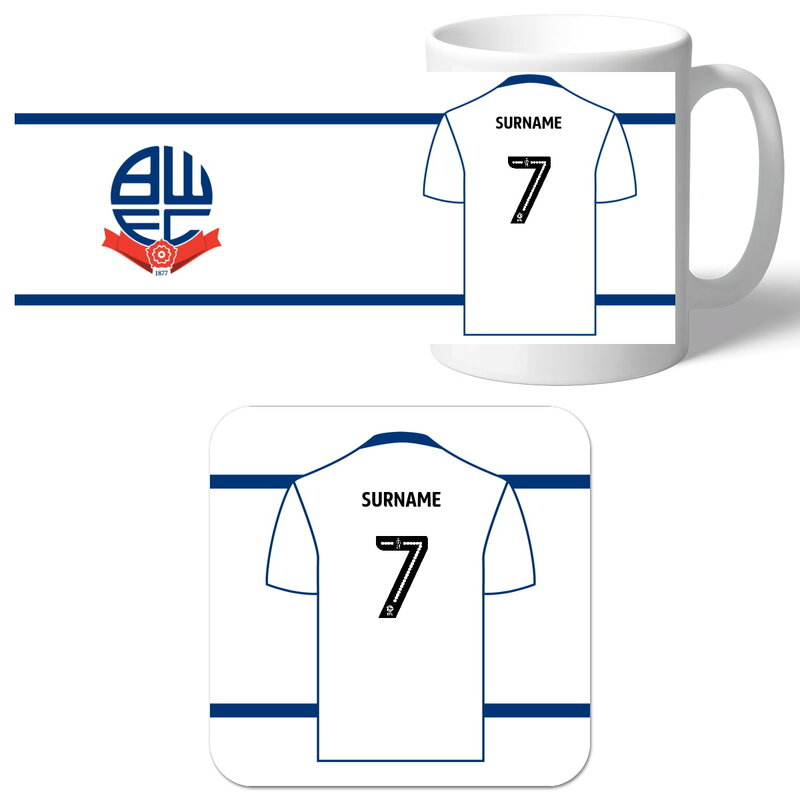 This truly stunning gift is sure to raise a smile as the recipient sees their personalisation on the Bolton Wanderers Retro Shirt Mug. Our personalised 100% Bolton Wanderers FC mug is a great present for any Bolton Wanderers FC fan! Our personalised Street Sign Mug is a fabulous present for any Bolton Wanderers FC fan and is approved and fully licensed by the club.